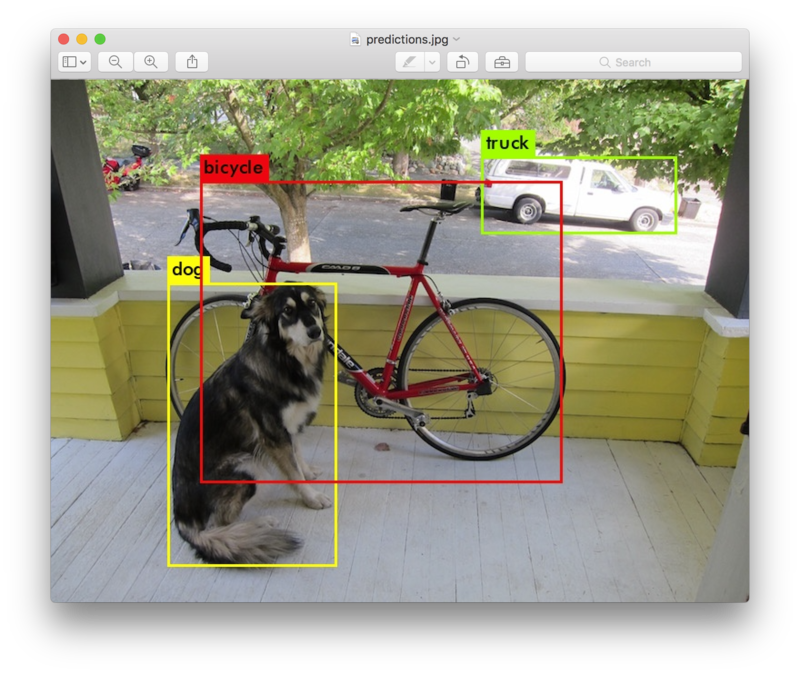 You only look once (YOLO) is a state-of-the-art, real-time object detection system. On a Pascal Titan X it processes images at 30 FPS and has a mAP of 57.9% on COCO test-dev. YOLOv3 is extremely fast and accurate. 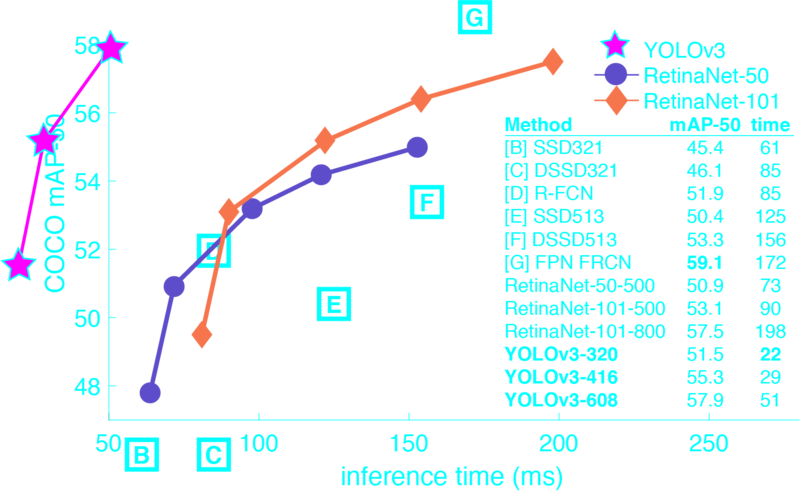 In mAP measured at .5 IOU YOLOv3 is on par with Focal Loss but about 4x faster. Moreover, you can easily tradeoff between speed and accuracy simply by changing the size of the model, no retraining required! Prior detection systems repurpose classifiers or localizers to perform detection. They apply the model to an image at multiple locations and scales. High scoring regions of the image are considered detections. We use a totally different approach. We apply a single neural network to the full image. This network divides the image into regions and predicts bounding boxes and probabilities for each region. These bounding boxes are weighted by the predicted probabilities. Our model has several advantages over classifier-based systems. It looks at the whole image at test time so its predictions are informed by global context in the image. It also makes predictions with a single network evaluation unlike systems like R-CNN which require thousands for a single image. This makes it extremely fast, more than 1000x faster than R-CNN and 100x faster than Fast R-CNN. See our paper for more details on the full system. YOLOv3 uses a few tricks to improve training and increase performance, including: multi-scale predictions, a better backbone classifier, and more. The full details are in our paper! Darknet prints out the objects it detected, its confidence, and how long it took to find them. We didn't compile Darknet with OpenCV so it can't display the detections directly. Instead, it saves them in predictions.png. You can open it to see the detected objects. Since we are using Darknet on the CPU it takes around 6-12 seconds per image. If we use the GPU version it would be much faster. I've included some example images to try in case you need inspiration. Try data/eagle.jpg, data/dog.jpg, data/person.jpg, or data/horses.jpg! You don't need to know this if all you want to do is run detection on one image but it's useful to know if you want to do other things like run on a webcam (which you will see later on). 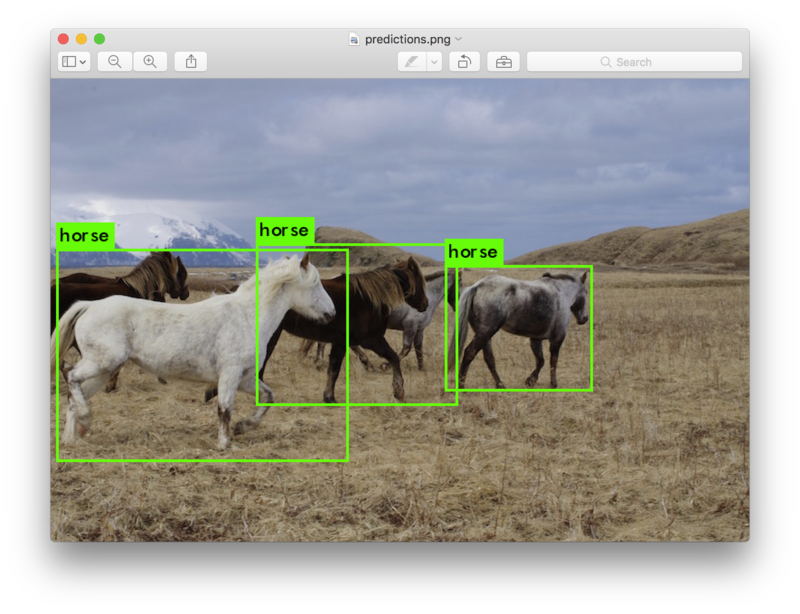 Enter an image path like data/horses.jpg to have it predict boxes for that image. Once it is done it will prompt you for more paths to try different images. Use Ctrl-C to exit the program once you are done. So that's obviously not super useful but you can set it to different values to control what gets thresholded by the model. Running YOLO on test data isn't very interesting if you can't see the result. Instead of running it on a bunch of images let's run it on the input from a webcam! YOLO will display the current FPS and predicted classes as well as the image with bounding boxes drawn on top of it. You will need a webcam connected to the computer that OpenCV can connect to or it won't work. If you have multiple webcams connected and want to select which one to use you can pass the flag -c <num> to pick (OpenCV uses webcam 0 by default). That's how we made the YouTube video above. You can train YOLO from scratch if you want to play with different training regimes, hyper-parameters, or datasets. Here's how to get it working on the Pascal VOC dataset. There will now be a VOCdevkit/ subdirectory with all the VOC training data in it. Where x, y, width, and height are relative to the image's width and height. To generate these file we will run the voc_label.py script in Darknet's scripts/ directory. Let's just download it again because we are lazy. Now we have all the 2007 trainval and the 2012 trainval set in one big list. That's all we have to do for data setup! You should replace <path-to-voc> with the directory where you put the VOC data. For training we use convolutional weights that are pre-trained on Imagenet. We use weights from the darknet53 model. You can just download the weights for the convolutional layers here (76 MB). You can train YOLO from scratch if you want to play with different training regimes, hyper-parameters, or datasets. Here's how to get it working on the COCO dataset. Now you should have all the data and the labels generated for Darknet. You should replace <path-to-coco> with the directory where you put the COCO data. 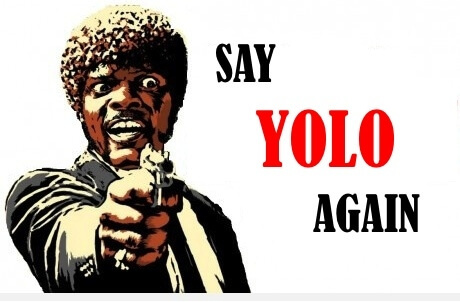 What Happened to the Old YOLO Site? If you use YOLOv3 in your work please cite our paper!